Guidance in Giving has been meeting with Block 1 parishes for Initial Pastor Meetings. In the first week of January all pastors were mailed 2019 Partners in Charity parish target letters from Bishop McManus. It is imperative that each parish conduct a strong, successful Partners in Charity Appeal, on an accelerated schedule, prior to launching their Legacy of Hope Campaign. Parishes that are in Block 1 will conduct their Partners in Charity Appeal in February. Parishes assigned to Block 2 will hear from their campaign director in May/June 2019. If you&apos;d like to meet prior, please contact Mike Messano at mmessano@guidanceingiving.com. The Leadership Gifts Phase will continue. Receptions hosted by Bishop Cabinet members will continue. Block 1 parishes will be executing an accelerated Partners in Charity appeal. Guidance in Giving Campaign directors will be meeting with Block 1 pastors and their parish leadership for orientation and training meetings. Block 1 parishes will be submitting their parish cases to Bishop for approval on how they will be utilizing the 40% that will be coming back to the parish. There will be a Partners in Charity Launch Gathering on Tuesday, January 29, 2019 for Block 1 parishes. Lunch will be provided at 12:00pm in the Chancery Library and Appeal promotional material will be given out. A Bulletin Insert Weekend is planned for Block 1 parishes in the beginning of February. Flocknote email (3 weeks of prepared messages) will be provided for automated use by parishes beginning February 3rd. 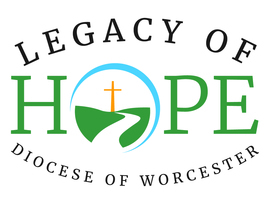 An In Pew Weekend is planned for Block 1 parishes mid-February in which a giving announcement for Legacy of Hope will be made at the end of Mass. The Partners in Charity Launch Gathering for Blocks 2 & 3 will be held on Thursday, February 28, 2019. Lunch will be provided at 12:00pm in the Chancery Library and Appeal promotional material will be given out. A Bulletin Insert Weekend for Blocks 2 & 3 will be in mid-March. Flocknote email (3 weeks of prepared messages) will be provided for automated use by parishes beginning March 9th/10th. An In Pew Weekend is planned for Block 2 & 3 parishes in late March.